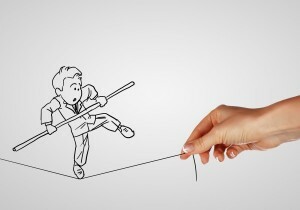 Is Self-Employment Riskier Than the Traditional 9 to 5? Getting a job as an employee in a company with organized health and retirement benefits is the default and safe position in the working world. Anything outside of the safe, steady, in-house job environment—be that contracting or self employment—is seen as high-risk, high-stakes poker. But, is this assumption still correct? Is self-employment riskier than the traditional 9 to 5? For example, one massive risk with full-time, permanent employment is that all your eggs are in one basket. If a recession hits and you are laid off, or you get fired for performance, it can be a catastrophic event; your income can drop to zero immediately, as you have no other income channels. You haven’t spread your risk, like you might do when you are self-employed (having several clients), and in this sense, having one in-house job is riskier than being self-employed where the loss of one client for whatever reason is not so catastrophic as you have other clients providing income to tide you over until you can replace the lost client. Also, thanks to the explosive rise of online freelancer workplaces like Odesk, elance and freelancer.com, it’s never been easier for freelancers to find a new client or back fill an old client. This means that the risk of not finding new business, that was previously associated with freelance work, has also been massively reduced compared to, say, 10 years ago. Another risk with full-time, permanent employment is that the sands are shifting beneath employees’ feet. Research from Adecco reported in the HBR suggests that the rate of growth of contingent workers (freelance, contractors, part-time) is four times the growth rate of traditional workforces and that contingent workers will eventually make up 25 percent of the workforce. This is partly driven by employers making greater use of contingent workers versus full-time employees due to the flexibility of this workforce model. This means that proportionately over time, it’s likely there will be less full-time, permanent jobs available—relative to freelance jobs—increasing the risk again. And what about the psychological risk? Employment is hardly paradise at the moment with the Gallup global engagement survey showing that 87 percent of employees are disengaged at work; so, there’s a high chance you won’t be happy in employment. In contrast, this study from the University of Zurich of 23 countries shows that the self-employed are substantially more satisfied with their work than employed people due to the autonomy. This shows that you are much less likely to be happy in full-time employment compared to contingency working. In terms of earnings, in the UK recent research shows that self-employed workers earn double that of employed workers, (£50,820 versus £26,093). The self-employed also earn more in Canada, according to this monster article. However, in the U.S., the picture is less clear, but it seems that the self-employed and employees earn a similar salary on average, according to research reported on Businessweek. Finance is a complicated thing, but in general, it seems that the employed worker can be financially worse off or at least equally paid with the self-employed worker, depending on which country you are in. So, remarkably, I think there are many aspects of employment which make it a riskier bet than self-employment, such as having all your eggs in one basket, the lack of job security, the decline in traditional jobs versus a rise in freelance work, massive employee disengagement compared to higher self-employed satisfaction rates. And in many countries, the self-employed are better off financially. I believe that the modern worker should regard employment and self-employment as two equally valid and viable career paths given the comparable risk profile of each option.